Smita has many years of experience in acting for both developers and investors in relation to real estate development and investment. She understands the requirements of those involved in different roles, whether as funders/investors, developers or occupiers and her experience covers a wide variety of sectors including business uses, retail/leisure, residential and student accommodation. Acting for a client base with diverse property interests has provided Smita with a well-rounded understanding of the real estate market from the perspective of all participants. Her breadth of knowledge and experience in the sector enables her to adopt a pragmatic and commercial approach in delivering projects for her clients. 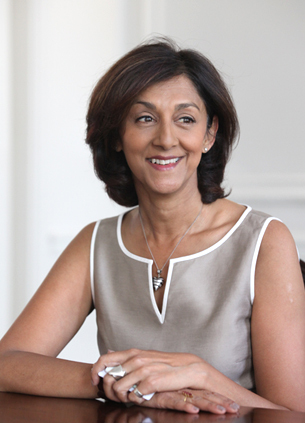 Smita qualified as a solicitor in 1985, joining Frere Cholmeley on qualification, and becoming a partner in 1992. Smita is one of the founding partners of Forsters and was head of the Commercial Real Estate team from 1998 until 2003. She is currently Senior Partner.